Last season the Packers accomplished what few outside Wisconsin thought they could; the team over came a number of injuries to key players, worked its way into the post season, and went on the road to earn a trip to Super Bowl XLV. Then, down in Dallas, the Packers took care of business and defeated the Steelers in another great game. 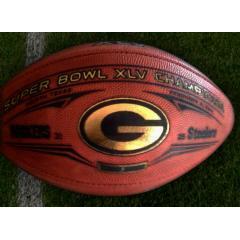 Celebrate this historic season and great win with this Official Green Bay Super Bowl XLV Champions Authentic Wilson Football. 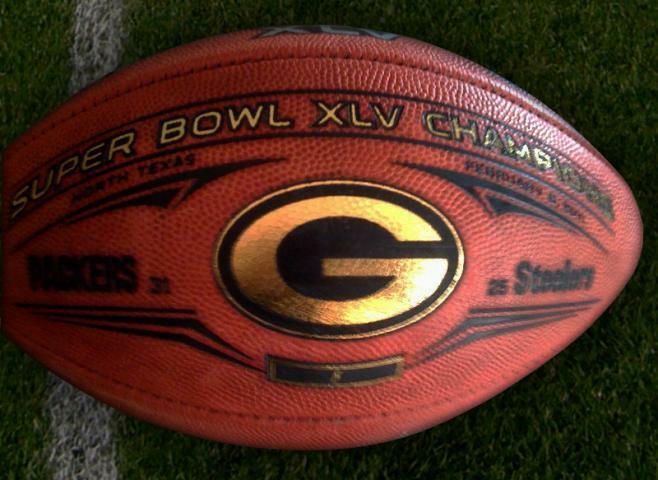 This is a limited edition and we expect Packers fans will generate swift demand for this just released Super Bowl XLV football so you must order now. 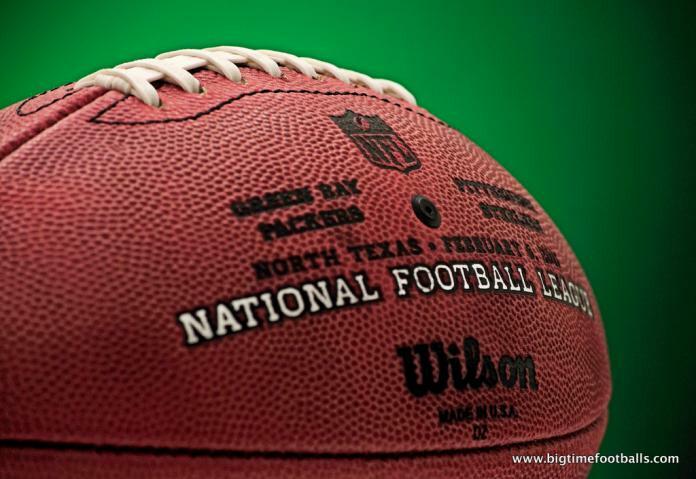 Wilson is the official football of the National Football League and the Super Bowl. All these footballs are official game balls. 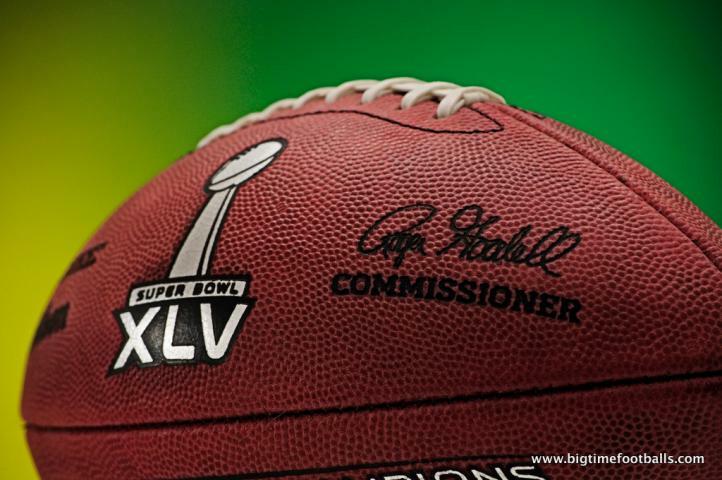 The Super Bowl Champions game ball is the same ball used in the Super Bowl, with the addition of a commemorative panel to honor the Super Bowl Champion Packers. Order yours now before they are gone. Due to the very limited nature of this offer we will charge your credit card for the full amount of this purchase immediately upon receiving the order. This will ensure we reserve a set for you. We will confirm your order by Email. Please allow 4 to 6 weeks for delivery. These balls are not game used. ORDER YOURS NOW AND RECEIVE IT IN TIME FOR CHRISTMAS!